Livia Lund is in her 3rd year on the Southerner staff as Editor in Chief. Beginning as a Staff Writer her sophomore year, Lund took over the position of Features Editor her junior year and is now excited to fulfill her current position as Editor in Chief. Lund has great leadership skills and is very excited as always to get to meet and work with new people and learn new things. 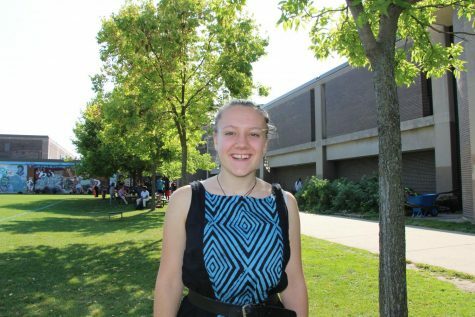 As well as holding a leadership position on the newspaper, Lund is also the President of Green Tigers, facilitating the environmental student group at South. Lund is very interested in newspaper and has a very personal connection: Not only was her dad a journalist but her brothers were also Southerner staff members! In her free time, Lund likes to bike and is currently learning to sew in hopes that one day she will be able to make her own clothes. At South, Lund enjoys playing frisbee and is part of the cross country ski team. Lund is very easy-going and can always be found helping someone around South, and we are excited to welcome her as our new Editor in Chief.